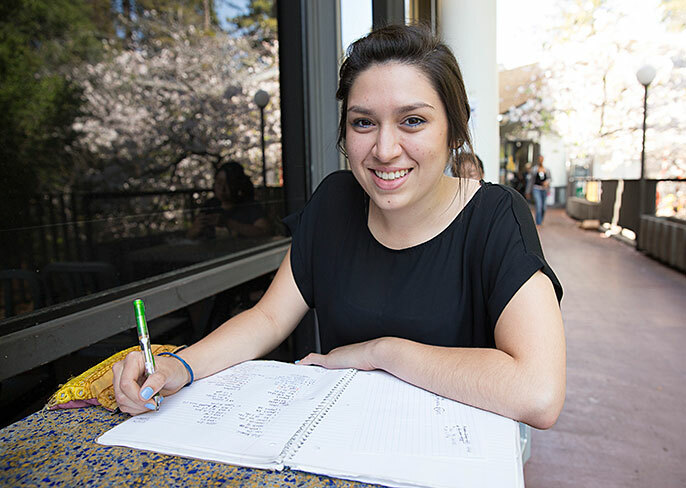 UC Berkeley undergraduate and co-author of the HERMOSA study Maritza Cárdenas. Ramon Jimenez, 17, an Everett Alvarez High student, informs Alicia Rojas what steps she should take now that she's a participant in the Hermosa study. The shampoos, lotions and other personal care products you use can affect the amount of endocrine-disrupting chemicals in one’s body, UC Berkeley researchers showed.